A development of 11 affordable homes for rent – designed to be suitable for all generations. To download a copy of this case study, click here. Rural housing is in crisis with high prices, low wages, high levels of second home ownership and an ageing population. The high cost of properties in rural areas is driving young people away from villages. Cirencester Housing’s Arlington Fields development of 11 affordable homes for rent was designed to be suitable for all generations helping ensure the healthy future of the Bibury community. The project included a range of 1, 2 and 3 bedroom houses and achieved level three of the Code for Sustainable Homes. The homes were developed using the rural exceptions policy, having planning secured in 2013. Cirencester Housing worked in Partnership with Bibury Parish Council and Cotswold District Council and carried out a number of Community consultation events. A grant through the Homes and Community Agency helped fund the project. Design and materials have been carefully considered to ensure that homes are sympathetic with the local styles, although in addition to the traditional appearance, homes benefit from high levels of performance, including air source heat pumps, which utilises renewable technology to ensure residents running costs are kept to a minimum. 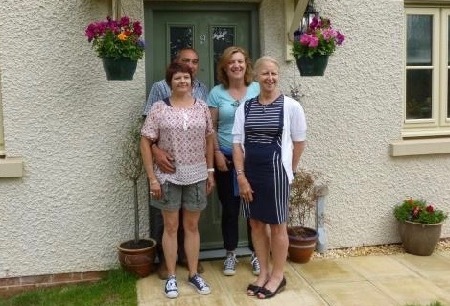 Gloucestershire Rural County Council (GRCC) undertook an initial parish Housing Needs Survey in June 2006 with the support of Bibury Parish Council. The Parish Council assisted with the identification of 18 potential sites. GRCC then up-dated housing needs with its survey in May 2010, which identified 26 households in affordable housing need with a local connection to Bibury. The sites were narrowed down according to whether they received support from CDC planners and the sites’ availability, eventually resulting in the development of Arlington Fields. Throughout the duration of this project through to completion Cirencester Housing have received the full support of the Parish Council and most of the community. Cirencester Housing worked with the local community in developing this project carrying out site identification with the Parish Council to assess the most viable site within the village. The project received a number of objections through the planning process including tourists visiting Bibury. Through a thorough and open consultation process, planning was secured. The design of the project is in-keeping with the Local vernacular and has been well received by local residents. Property has been let to Bibury or local parish residents, including three families with young children who will be able to continue living and working in the area and a retiree who is returning to be reunited with his family and friends.